Make an instant, tax-deductible, secure donation online via our donation page on GiveGab. You can use any major credit card to give directly to Arcade Comedy Theater. You can also choose to make a recurring donation to the theater! Please include your mailing address as well, so that we can send you a receipt and thank you letter. All donations received will go directly towards Arcade Comedy Theater’s mission of keeping comedy affordable, compensating artists for their work, and growing into our new home. You can also make your donation via check – which allows Arcade to receive 100% of your donation, without paying any credit card fees. Please make all checks payable to Arcade Comedy Theater. We are truly grateful for the support we’ve received so far in our Arcade Upgrade campaign. This list of supporters is accurate as of April 5, 2017, and will be updated every two months. Anything to perpetuate your amazing support of the Pittsburgh comedy community. We’re so excited to have a permanent comedy fixture in Pittsburgh! Thanks for all of your hard work and dedication. On behalf of Arcade Comedy Theater Board of Directors: THANK YOU! In just 7 days we were able to raise $3,580 through cash donations and silent auction bids. As a Board we matched $2,000, making our total raised for Arcade Upgrade $5,580! The Silent Auction goes live on tonight, May 4, at 7:30 pm and will close promptly at 7:00 pm on Sunday, May 7, with the winners, announced via Facebook Live at the end of Bonus Stage. You can visit Arcade Comedy Theater’s Facebook Photo Album and browse available auction items. 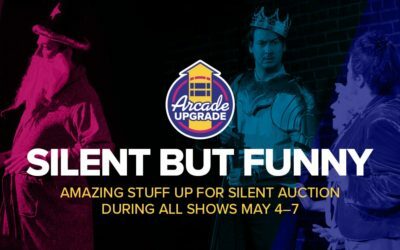 The Arcade Board will be matching all donations received during the week of May 1–7, up to a total of $2,000. To encourage you all to open up your wallets, we’re hosting a silent auction at all of the shows from May 4–7. What an exciting new chapter for the Arcade Comedy Theater. While our home will be new, our commitment to providing affordable comedy for the community of Pittsburgh not only remains, it is re-energized. This will reinvigorate our classes, our shows, and our comedy. Our new home will enable us to continue as an essential piece of Pittsburgh’s Cultural District. 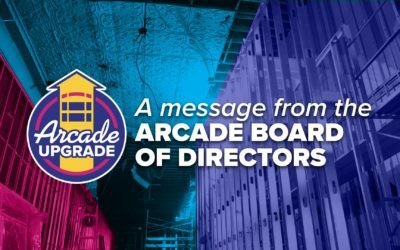 As we strive to carry out our mission in Pittsburgh, we invite our patrons, community, and partners to invest in Arcade’s future. Your support will not only help us move into a new space. 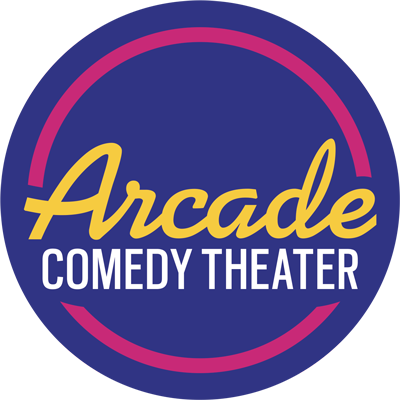 Your gift to the arcade will build the next bold chapter of art, comedy, and improv for the Pittsburgh community.